How do we get in touch? Who do we write to? 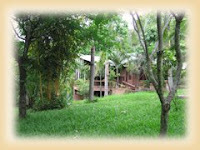 I am interested in using the Dwelling for my family as we are moving back to the USA after 11 years here in Chiang Mai. The dates I need the house are from Dec. 1 – 12. Could you contact me with availability and location, as well as cost? My cell number is 088-269-2732. Can we book for 3 missionaries , one couple and one single for SEPT 8 and 9 and leaving on 10th? We have 4 kids and live in Bangladesh. It is a very hard place to ever get rest and counseling. This would be a big great blessing if we could stay for a little while at your house. Thank you so much. You are so kind to offer something like this. I can talk you more on email if this is a possibility. are you still in service ? a missionary need a room.